Summary: During the research it was determined that applying a loan is an essential part of the process of functioning of small and medium-sized business in agriculture. A special attention should be paid to the issue of farm lending by credit unions. This direction in loans can help out of difficult financial crisis both farmers and credit unions. By investing money in farming and manufacturing – we invest money in our future as a powerful agricultural country. It has been proved that in the field of microcredit, especially in rural areas, credit unions are the only source of financing for small and medium-sized enterprises. Peculiarities of functioning of credit unions have been researched. To ensure the access of small businesses to short-term “cheap” loans of small size the implementationof Microcredit Program by means of local credit unions has been considered. The main advantages and features of the program are: loans for starting a business; the possibility of getting loans without security; low loan interest rate (max 15 %); loans of small size (up to 20 000 UAH.) for short term; participation of State Executive authorities, local self-government. The analysis of credit unions of Ukraine, which indicates a downward trend in the amount of assets and loan portfolio of credit unions in Ukraine, leading to a decrease in their number due to the closure has been made. The reasons which led to the crisis of credit unions have been determined. Some recommendations have been offered regarding the creating of a credit history bureau for a single borrowers’ database formation; acceleration of the process of formation of powerful credit union associations. The requirement is to create a regional stabilization fund that can facilitate the access of a credit union to financial support, and cooperation of the regional funds at the state level will helpto monitor their liquidity. To solve the problem of credit repayment it is offeredto delegate this authority partially to a single special body - the Agency for dealing with bad loans. Key words: loan, credit union, credit and financial system, financing of a small business, funding, the Program of microcreditofa small businesses. Current state of the economy is determined primarily by availability and development of appropriate financial institutions which due to loans will contribute to the development of the agricultural sector of Ukraine. Small and medium-sized business that require additional financial investments are developing in the process of market transformations in agricultural sector. At the same time, the main issues in the development of existing market infrastructure remained neglected. It leads to the fact that the agricultural sector is deprived of funding. In the post-crisis economic development the modern state of Ukrainian credit cooperation does not allow to solve this problem to the full extent. This is hindered by its limited territorial spread, a small number of financial resources, and insufficient development of financial sustainability at the level of individual section of credit cooperation in the region. Long-term financial crisis in the agricultural sector made agricultural producers uncompetitive in the agricultural market. The result was the inability of the farmers to provide their own production with necessary equipment, mineral fertilizers, means of protection of crop production and livestock. This is an unprejudiced process as 75-76 % of expenditure is on imported components. And they are known to be linked to the exchange rate and, consequently, are increasing in price as soon as Ukrainian Hryvnia devalues. The situation is complicated by problems observed in the banking sector. It still faces a capital outflow. Due to the crisis and mistrust to current economic policy, which led to a sharp rise in the cost of living, a lot of Ukrainians are withdrawing their deposits. As a result it causes a significant decrease in the volume of free funds that could be spent on lending to real sectors of the national economy, including agricultural. In the conditions of insufficiency of available funds and high demand for them a market mechanism started its functioning. In this case it works against farmers. It happened because of significantly increased interest rates on bank loans, which are now almost inaccessible to the majority of potential rural users. The banks themselves have to be extremely careful in relationships with farmers. They give preference to those who have enough mortgaged property, cultivate a significant area of farmland, and have possibility on internal and external markets. In most cases these are agricultural holdings and large farms. At least agricultural farms which cultivate about 500 hectares of landcurrently are not considered as potential customers by commercial banks. Therefore, it is difficult for small and medium-sized agricultural producers to get funding for the business on acceptable terms. However, scientific approachesdo not outline theoretical development and possibilities of development of credit union system in the agricultural sector of Ukraine in a sufficient way. Fundamentals of problems of credit union development are based on the research of well-known and recognized authors-scientists. So, in works [5, 8] of scientists theoretical and methodological approaches to the revival of national cooperative movement were studied, some tendencies of credit cooperation development in Ukraine in the conditions of crisis were considered. The authors [1, 2, 3] have paid special attention to development of small and medium-sized business in Ukraine, the search for forms of economic self-help of rural and urban populations in the world and in Ukraine through the study of international practice and Ukrainian experience. Recently, scientists [4, 6, 7, 8, 10, 12, 13, 15] have examined the problems of credit cooperation, credit unions as financial cooperatives, much attention is paid to providing agricultural enterprises with credit resources and improvement of credit and financial maintenance of agriculture. Despite a large number of scientific works devoted to problems of formation of credit union system, there is a need for further research, development and adaptation to modern conditions of formation of multileveled model of credit union development in agricultural sector of Ukraine. Considerable gaps require theoretical justification regarding the assessment of development of credit unionsystem in Ukraine and search for foreground directions of solving this problem in Ukraine. Topicality and insufficient scientific exploration of the problem demanded a totally new approach of forming a credit union system in agricultural sector in Ukraine and key trends for financial support of agricultural producers. The aim of the research is the analysis and development of proposals regarding foreground directions of development of a credit union system in agricultural sector of Ukraine. 3) to provide recommendations for effective financial relationships of agricultural farms with credit and financial system in Ukraine. 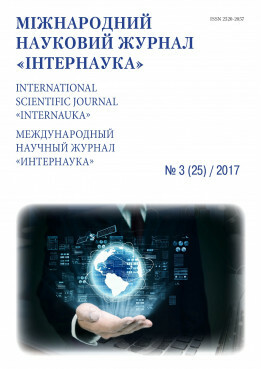 Theoretical basis of writing the article are scientific works by national and foreign scientists concerning development, formation, modern state and prospects of development of a credit union system in Ukraine and the world. Information base of the research is the data of the National Commission for regulation of financial service markets of Ukraine, the National Association of credit unions of Ukraine (NACUU) United credit union of National association of credit unions of Ukraine (UCU NACUU), the results of the research conducted by the author. Legal framework of the research is valid legislative and regulatory acts which controlcredit union activities in Ukraine. To solve the tasks the following methods were used: analysis and synthesis, logical generalizations, analogies, comparative matching, absolute and comparative advantages, monographic and graphic methods. Applying a loan is a necessary part of the process of market economy functioning and the main source of solving the problem of providing stable, smooth operation of enterprises in different fields, including small businesses. The importance of small business to the economy is quite significant. Market economy cannot function and develop without this field. Formation and development of small business is one of the main problems of economic policy in the conditions of transition from an administrative and command to a market economy. The implicit fact is that for the development of small business free money that should be directed in the most attractive areas of business is needed. But under modern conditions it is quite difficult for business entities to attract such resources. Currently, national scientistsare vigorously investigating the process of granting loans by commercial banks to small businesses, analyzing the program, offered by commercial banks to small businesses . Since the independence of Ukraine small business development has been proclaimed by the state as one of priorities of state economic policy. But the results of the research in this area give the possibility to conclude that in order to encourage the development of small businesses effective measures are not taken bystate agencies . Nowadays small business needs financial resources for stable development, its credit and financial incentives from the state, which is one of the main directions of the state support, is very small and is complicated by bureaucratic obstacles, although some steps have been made - the participation of the National Bank of Ukraine, Ministry of Finance of Ukraine in the program of lending of small businesses in cooperation with the EBRD, the World Bank, the German Bank for reconstruction (KfW), the United States Agency for International Development (USAID) . Realities of the present time are forcing businesses to attract necessary financial resources in the banking market. Bank loan attraction is an ordinary technology of borrowing necessary financial resources. Today bank loans give the opportunity to fund the expenses of subjects of entrepreneurial activity related to the acquisition of fixed and current assets, by paying off such urgent needs of the enterprise as a temporary increase in inventory, increase inaccounts receivable and other obligations . Financial nature of credit union activity makes it similar to other financial market participants - banks. There a lot of common and different things between these structures. The common thing is that both banks and credit unions in the market act as a financial intermediary, they are created to meet the consumers’ needs in financial resources. They have the opportunity to accumulate funds from those who currently have the excess of funds and give them to those inurgent need. The main difference between these structures is the goal of each one: getting profit for the bank and providing financial services to a credit union. Credit unions are getting closer to banks in their development abroad, but the key difference remains: they serve only their members . Concerning the competition between banks and credit unions, it can be said that it exists in the field of attracting individuals’ savings and in the market of consumer lending. In the field of business microcredit, especially in rural areas, credit unions are the only source of financing of small and medium-sized enterprises. Accordingly, the advantages of credit unions include the maximum proximity to their direct recipients of services, and the ability of a borrower to get a loan in a simple way even in small amounts. Credit unions also have the possibility of more thorough approach to the selection of members, and hence their customers.So when the loan is granted creditworthiness of a borrower should not be carefully checked. And it is not always profitable for banks to deal with small borrowers because of significant administrative costs. They are more interested in revenue-intensive customers. In addition, credit unions provide their members with a number of other services . The main aim of the union can be defined as financial and social protection of its members by bringing their personal savings for mutual lending, financial support of entrepreneurial initiatives and other financial services. Overall, a credit union is a good alternative for a bank one for those entrepreneurs who want to get a loan quickly for a short period of time (several months or a year). This type of lending which is legalized by the Law "On credit unions" - there are some advantages. Firstly, a credit union in contrast to a bank is quite open structure, because it works on a voluntary basis. Each member of the union has legitimate reasons to monitor the activities of the association. Secondly, it is possible to build up a positive credit history out of the bank. Thirdly, annual rate in credit unions should be lower than in a bank. Although in practice it sometimes happens vice versa. Credit unions are public organizations that operate in the field of financial services. Credit union is a legal entity formed as anassociation of citizens on the basis of territorial, professional or other characteristics. Members of the union can be only physical persons. Credit union management is carried out on democratic principles (one member — one vote). Credit union provides micro loans only to its members. Credit union may independently establish types of loans, terms and period of repayment; methods of credit instruments securing, requirements to ensure credit repayment. Thus, it has the opportunity to minimize its financial risks. The traditional niche for credit unions is lending to small businesses, farms and subsistence farms. This is especially important taking into account the fact that these customers are not a priority for commercial banks and that’s why their financial needs are not always met by them. Credit unions pay a great attention to social lending. It is proved by data of all-Ukrainian Association of credit unions (AUACU). According to them, in 2015, the consumer loans provided by credit unions accounted for 39 %, commercial - 16 %, housing -12 %, on loans for the development of rural and individual farms – 4 %. Another 29 % of the loans were directed to meet other needs of Ukrainian population . A system financial crisis that began in autumn 2008 and hit the global economy became a serious trial for Ukrainian credit unions. Almost every fourth credit union was forced to stop its activity. At this time, the number of contributions of credit union members to the deposit account has decreased in more than 3 times. The active phase of the global financial crisis ended in early 2010. At the moment it can be stated that the situation in the sector of credit unions has stabilized and it is time to clear and re-estimate perspectives of their further development . We are confident that credit unions should intensify their activities especially in rural areas where the banking sector for their financial services are poorly represented or absent. We should not be restricted only to traditional areas of work. Attention should be paid to other equally promising directions, particularly, ecotourism, energy conservation, and support of a land reform. We are convinced that functional integration with local communities, other types of cooperatives, various forms of economic and social self-organization of the population, trade unions, labor collectives, educational institutions and the like is very important for further development of credit unions. The Law "On credit unions" requires significant improvement. All professionals related to the flow of credit in Ukraine have the same view. They are unanimous in the opinion that the post-crisis period requires new approaches in solving the issues of credit union functioning, creating new opportunities for their dynamic development, all this should be reflected at the legislative level . The issue of establishing financial and service infrastructure for credit cooperation systemhas yet to be resolved.It, in particular, expects the establishment of a central financial institution of credit unions with a banking license and introduction of a special audit. It is extremely necessary to createnationwide system of guaranteeing of the credit union members’ deposits similar to the system that exists today for bank depositors. In spite of the fact that Ukrainian credit unions have achieved significant results, its possibilities have not been exhausted yet. Under condition of its effective using, even greater success can be achieved. It is proved by international experience. It confirms that the credit cooperation remains one of the most powerful multipliers for regional economic and social growth, the acceleratorof competitiveness of the economy and an important source of financing for small and medium-sized businesses. Only in the EU, 50 million individuals are members of cooperative banks. 46% of the total volume of loans of small and medium-sized businesses in France and Austria is provided by the system of co-operative banks. In Germany and Italy every fourth loan is given by cooperative banks. In Poland the share of credit cooperatives is 13 % . President of SICOOB Rui Schneider da Silva said that Brazilian credit cooperatives, which act as Ukrainian credit unions, cooperate with real sector of the national economy to the full extent. Preference is given to agriculture. Credit cooperatives, which are SICOOB,are involved in 72 local government structures. They work closely with local banks . To ensureshort-term “cheap” small loans for small businesses starting since 2005 the Regional funds of business support have implemented Microcredit Programby means of local credit unions. This program is a part of the implementation of Regional programs of small business support in all regions of Ukraine . participation of state executive bodies, local self-government. other additional conditions are set by the local credit union. projects of small businesses which gave false information concerning themselves, their financial condition or project. small businesses which deal with manufacturing and selling military weapons and ammunition. monitors the implementation of the project of a small business entity, the loan is granted, target use of credit funds, respectively . Thus, in modern conditions the credit union is an integral and special part of the financial system of the market type. The principles of organization, aim, tasks and functions make it relatively separate from the other institutions of the financial market;introducing definite features in relationship with them. Legal framework that ensures credit union activity, is the Law of Ukraine “On credit unions”, as well as a standard statute of the credit union approved by the Board of the National Bank of Ukraine. However, these documents are not enough to create favorable conditions for the union activity. Legislation neglects the factthat each member of the credit union acts in two ways. First, he is a member of the public organization and has to bear the risk of this organization activity. Second – he is a client of this organization, and the relationship between him and the society arise from legal contracts. It is also necessary to solve the problem of preferential taxation of credit unions as organization that provides social protection of the population. In most countries where credit unions operate, they generally are not taxed. Primarily this is justified by the fact that the income of credit unions is actually the income of the citizens whohave already been taxed in accordance with applicable law [3, 5]. According to the National Commission for regulation of markets of financial services, the assets of credit unions during 2010 amounted to 4,218 billion UAH and their members are 2,190 million individuals, according to the results of 2011 the assets amounted to 2.4 billion UAH, including a loan portfolio - 2.2 billion UAH, according to the results of 2012, the assets amounted to 2.7 billion UAH, including a loan portfolio of 2.5 billion UAH, according to the results of 2013 the assets amounted to 2.6 billion UAH, including a loan portfolio - 2,3 billion UAH, according to the results of 2014, the assets amounted to 2.3 billion UAH, including a loan portfolio of 1.99 billion UAH . Since 2010 the number of credit unions has sharply declined. This trend can be proved by the data above: in 2004 the number of credit unions amounted to 687, in 2005 it was amounted to 723, in 2006 – 734, in 2007 – 739, in 2008 – 745, in 2009 – 755, in2010 –700, in 2011 – 615, in 2012 – 617, in 2013 – 624, in 2014 – 589, and in 2015 there were 588 unions . There was a steady downward trend in the reported amounts of assets and a loan portfolio of credit unions in Ukraine, which leads to decreasingof their number due to a closure. Implementation of risk management policy to attract resources of unions in speculative operations mainly with real estate and land by the management of the credit unions. Panic among the depositors of credit unions at the beginning of the financial crisis caused a massive outflow of deposits:during 2012-2014 the number of depositors decreased by 29.8% from 44.9 to 31.5 thousand persons, while the number of borrowers decreased by 26.5% from 254 to 186, 6 thousand persons, which led to the imbalance in loan and deposit portfolios . All-Ukrainian status of credit unions: due to disadvantages of legislation the principle of cooperation is violated (the impossibility of holding General meetings of the credit Union, election of the Chairman of the Board, regulatory authorities and the Supervisory Board). This has led to massive manipulations in the governing bodies of unions. The existence of a significant number of credit unions which do not follow basic principles of the international cooperative movement and the requirements for the protection of their members’ rights. Therefore, to solve the problems in the credit union activity in modern conditions it is necessary to take actions at both the state and regional levels. It isessential to create a credit bureau to form a single database of borrowers; to accelerate the formationof powerful associations.Also, the creation of regional stabilization funds can facilitate the access of the credit union to financial support and the cooperation of the regional funds at the state level will facilitate the monitoring of their liquidity. One more, if not the most significant problem of credit union activityin Ukraine iscredit repayment . To solve this issue, credit unions should not do this by themselves, spending significant costs and time, but they can partially delegate this authority to a single special body - the Agency for dealing with bad loans. Another way to minimize a risk is insurance. But, at this moment, credit unions do not often cooperate with the insurance companies. The reasons for this are unfavorable conditions of cooperation, unfair work of some insurance companies, and ignorance of the credit union management of the benefits of insurance etc. Special attention should be paid to the issue of farm lending by credit unions. This direction in the loans can help out of difficult financial crisis both farmers and credit unions. By investing in farming and manufacturing – we invest in your future as a powerful agricultural country. In this caseinternational experience can be adapted to Ukrainian realities. Nowadays, credit unions and other financial intermediaries suffer losses; the restoration of their previous state, according to forecasts of various experts, will be from 2 to 4 years. Therefore, credit unions and the financial market need to improve their performance, increasing the trust of the population and the rating of our country as a whole, creating strategic plans for future. During the research it was determined that applying a loan is an essential part of the process of functioning of small and medium-sized business in agriculture. A special attention should be paid to the issue of farm lending by credit unions. Peculiarities of functioning of credit unions have been researched. To ensure the access of small businesses to the short-term “cheap” loans of small size the implementation of Microcredit Program by means of local credit unions has been researched. Some recommendations have been offered regarding the creating of a credit history bureau for a single borrowers’ database formation; acceleration of the process of formation of powerful credit union associations. The requirement is to create a regional stabilization fund that can facilitate the access of a credit union to financial support, and cooperation of the regional funds at the state level will help to monitor their liquidity. To solve the problem of credit repayment it is offered to delegate this authority partially to a single special body - the Agency for dealing with bad loans. Галь В. Розвиток малого та середнього бізнесу в Україні / В. Галь // Вісник НБУ. - 2003. - січень. - С. 13-14. Гончаренко В. В. Кредитні спілки як фінансові кооперативи. Міжнародна практика та український досвід. / В. В. Гончаренко - К.: Наукова думка, 1997. – 240 с.
Гончаренко В. В. Кредитна кооперація. Форми економічної самодопомоги сільського і міського населення у світі та в Україні: теорія, методологія, практика. / В. В. Гончаренко - К.: Глобус, 1998. - 330 с.
Гончаренко В. В. Проблеми та перспективи формування кооперативного сектора у фінансово-кредитній системі України./ Національний кооперативний рух та структурні зміни в економіці України XXI століття. / В. В. Гончаренко // Збірник наукових праць учасників конференції. – К.: Укрпросвіта, 2001. – № 4–5. – С. 26 – 32. Гончаренко В. В. Теоретично-методологічні підходи до відродження національного кооперативного руху / В. В. Гончаренко // Вісник Полтавського державного сільськогосподарського інституту. – 2001. – № 5–6. – С. 75–82. Грішута А. В. Розробка стратегії та прогнозування розвитку кредитної кооперації в Україні / А. В. Грішута // Вісник Сумського Національного Аграрного Університету // – 2008. – №2. – С. 35 – 41. Грішута А. В. Розвиток стратегічного управління в кредитних спілках в умовах викликів сьогодення / А. В. Грішута // Материалы седьмой Всеукраинской научно-практической конференции студентов, аспирантов, докторантов // 2009. – С. 324 – 327. Грішута А. В. Тенденції розвитку кредитної кооперації в Україні у умовах кризових явищ / А. В. Грішута // Материалы третьей Международной научно-практической конференции учёных и специалистов // 2009. – С. 151 – 153. Грішута А. В. Державна підтримка фінансування інноваційної діяльності в аграрній сфері через механізм кредитної кооперації / А. В. Грішута // Вісник ХНТУСГ // – 2010. – №104. – С. 140 – 146. Грішута А. В. Фактори стримання розвитку кредитної кооперації у посткризовому періоді / А. В. Грішута // Вісник Університету банківської справи Національного Банку України // 2010. – №3. – С. 264 – 267. Гришута А. В. Привлечение средств предприятиями агропромышленного комплекса при поддержке государственных программ финансирования через систему кредитной кооперации / А. В. Гришута // Материалы Всероссийской научно-практической конференции «Региональные проблемы преобразования экономики» // 2010. – №8. – С. 277 – 286. Ґудзь О.Є Забезпечення сільськогосподарських підприємств кредитними ресурсами / О. Є. Ґудзь // Економіка АПК. – 2003. – № 1. – С. 86–90. Ґудзь О.Є. Розвиток нетрадиційних методів кредитування / О. Є. Ґудзь // Економіка АПК. – 2003. – № 4. – С. 61–66. Ґудзь О. Є. Як селянам отримати кредит: практичні поради. / Ґудзь О.Є., Зуб Г., Корінець Р. – К.: Український освітній центр реформ, 2003. – 56 с.
Дадашев Б. Удосконалення фінансово-кредитного обслуговування сільського господарства / Б. Дадашев // Економіка АПК. – 2003. – № 11. – С. 70–85. Дадашев Б. А., Гриценко О. І. Кредитні спілки в Україні: навч. посіб. / Б. А. Дадашев, О. І. Гриценко – Суми: ДВНЗ “УАБС НБУ”, 2011. – 196 с.